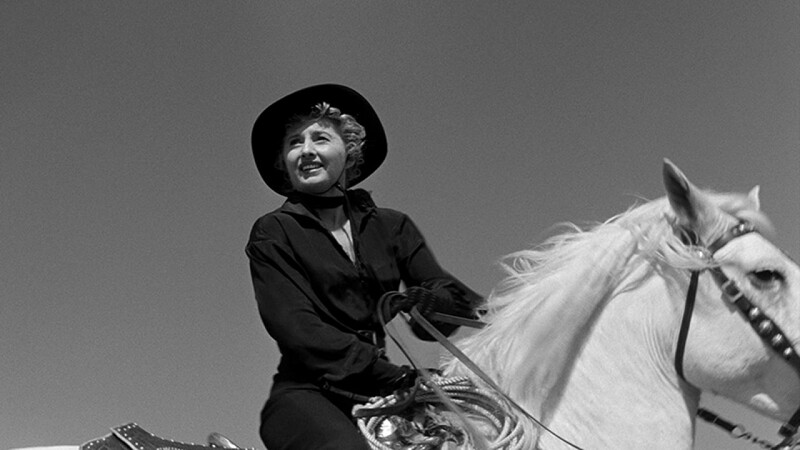 Hollywood legend Barbara Stanwyck saddled up with writer-director Samuel Fuller for the pulp maestro’s most audacious western, a boldly feminist spin on the genre that pivots effortlessly between ribald humor, visceral action, and disarming tenderness. 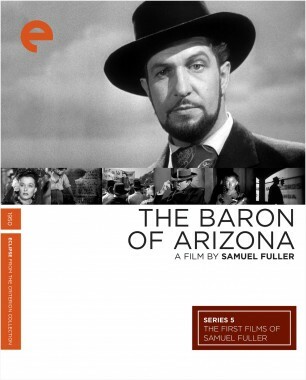 High-riding rancher Jessica Drummond (Stanwyck) commands a forty-strong posse of cowboys, ruling Cochise County, Arizona, without challenge. When U.S. 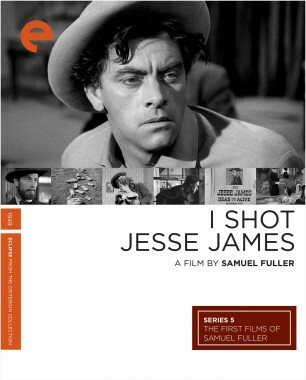 Marshal Griff Bonell (Barry Sullivan) and his brothers arrive in town with a warrant for one of her hired guns, Jessica begins to fall for the lawman even as he chips away at her authority. 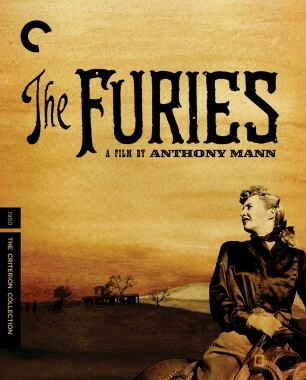 With astonishing black-and-white CinemaScope photography, hard-boiled dialogue laced with double entendres, and a fiery performance by Stanwyck at her most imperious, Forty Guns is a virtuoso display of Fuller’s sharpshooting talents. 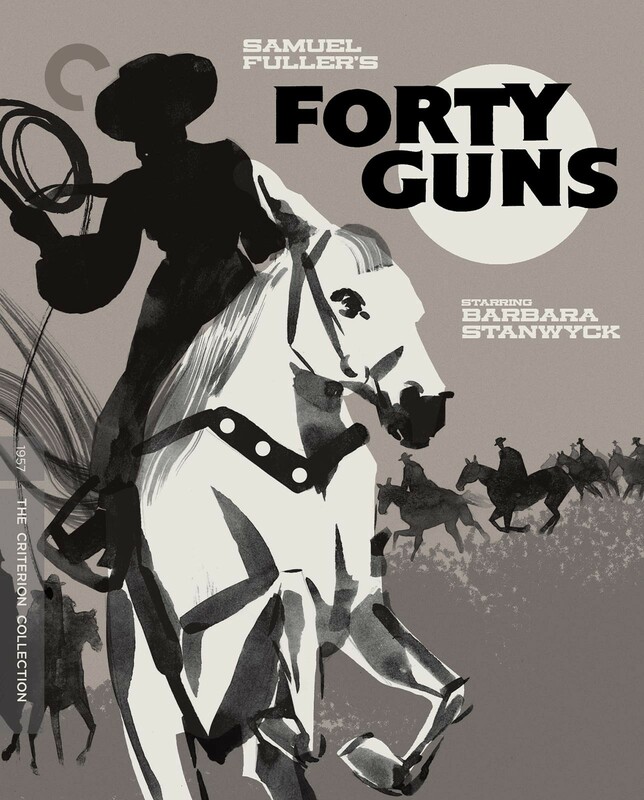 After three decades in the industry, Hollywood icon Barbara Stanwyck delivered one of her fiercest performances in Samuel Fuller’s western Forty Guns. 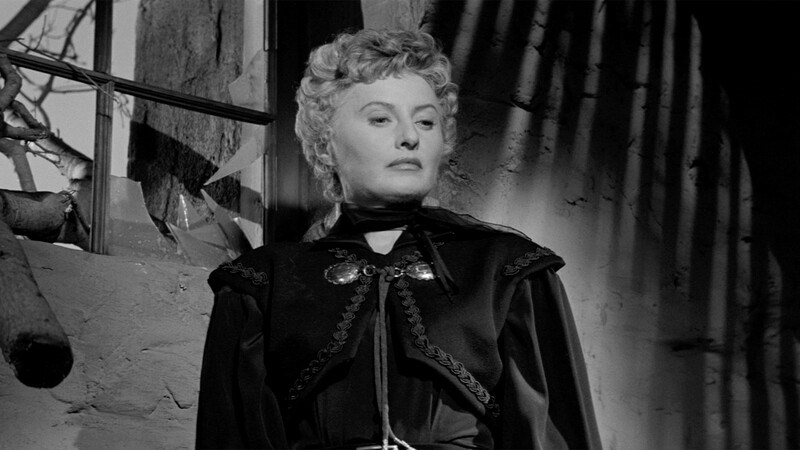 Three decades into her iconic career, Barbara Stanwyck delivered her final great film performance in Samuel Fuller’s ribald and fiercely feminist twist on the western.